Laptop & Desktop backgrounds, Ireland wallpaper images. Download free Irish images of Dublin city for your desktop background or wallpaper. The Ha'penny Bridge at dusk, woodland & trees on Dublin mountains, Kilmainham Royal Hospital antique gardens & views of Dublin Ireland. The images below are provided free for personal/non-commercial use. 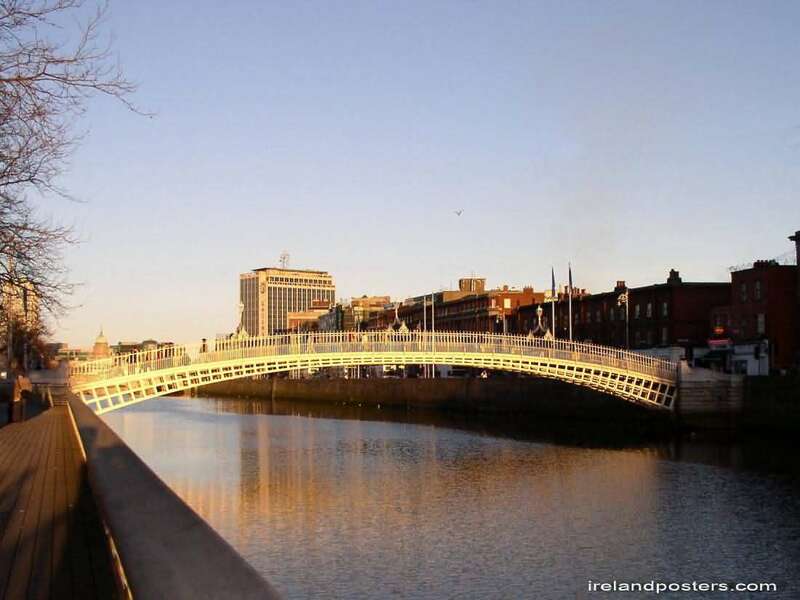 Liffey Boardwalk & Ha'penny Bridge at Dusk, Dublin Ireland. 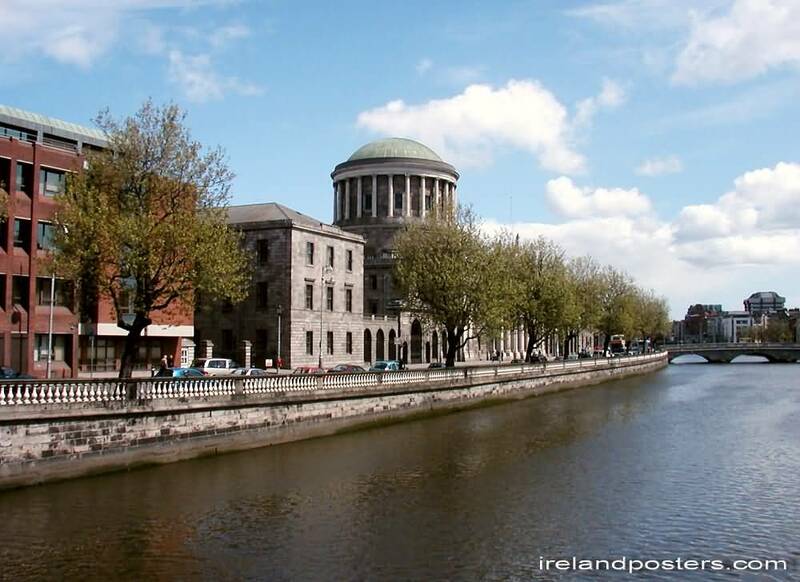 Four Courts & Liffey, Dublin city Ireland. 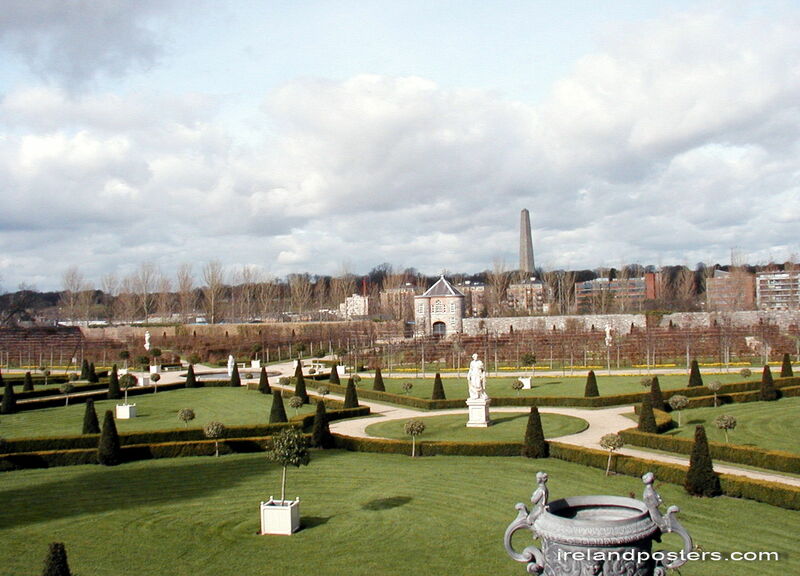 Antique garden at Royal Hospital, Kilmainham Dublin. 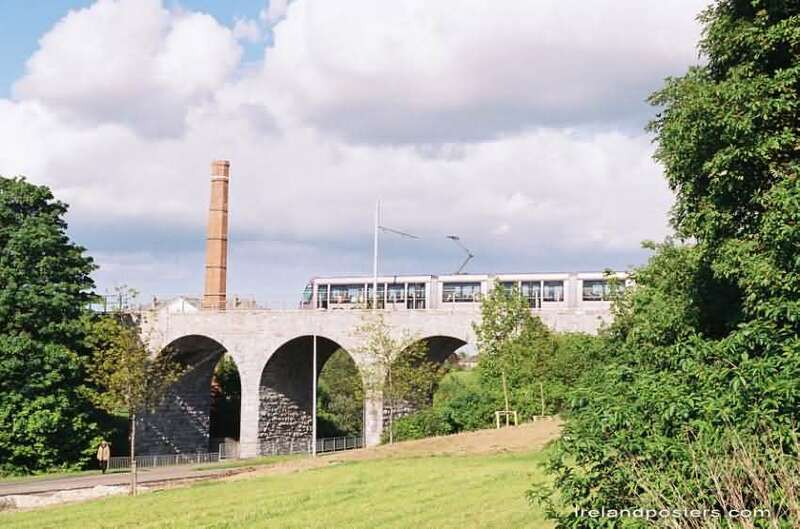 Dublin Tram crossing viaduct at Milltown, Dublin, Ireland. 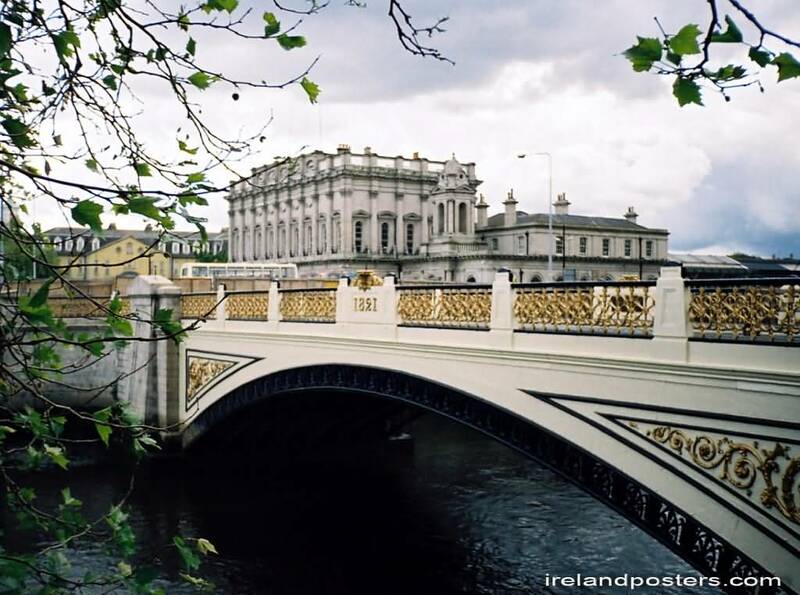 Heuston railway station & King George bridge. 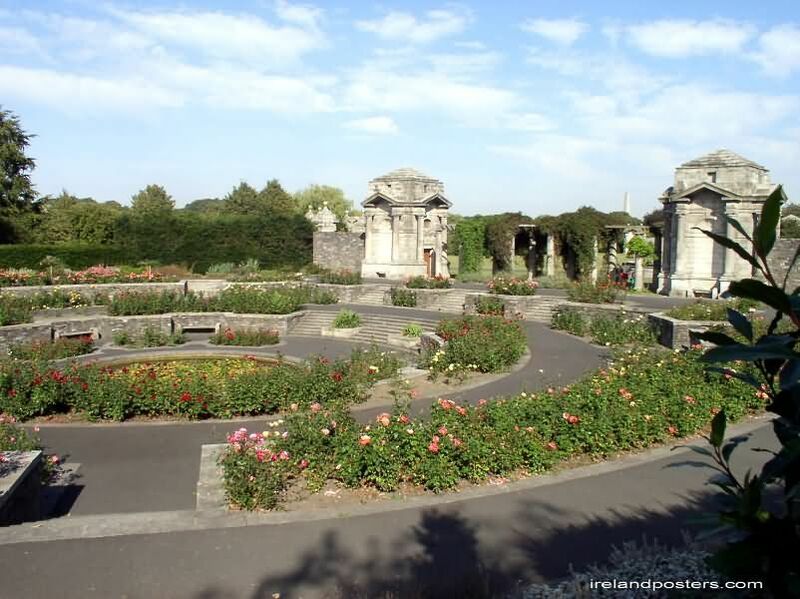 Rose garden at Irish National War memorial Gardens. 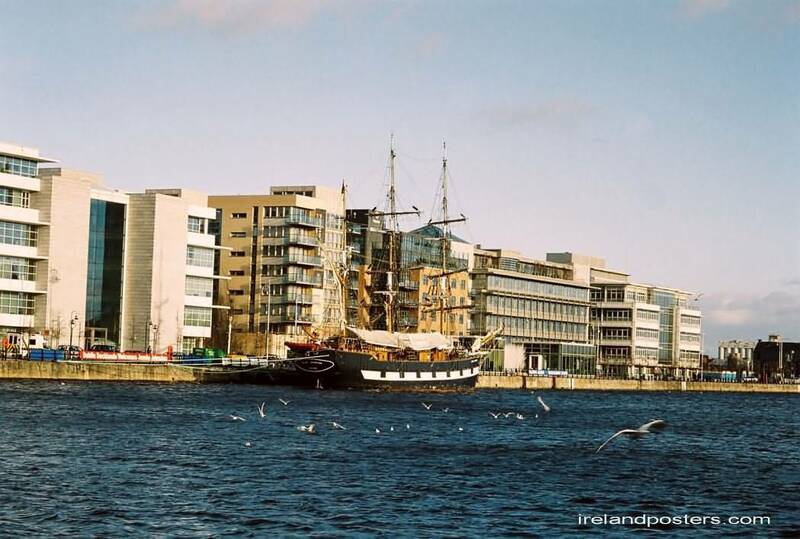 Tall ship Jeanie Johnson at Dublin Port. Vintage London & antique England prints. 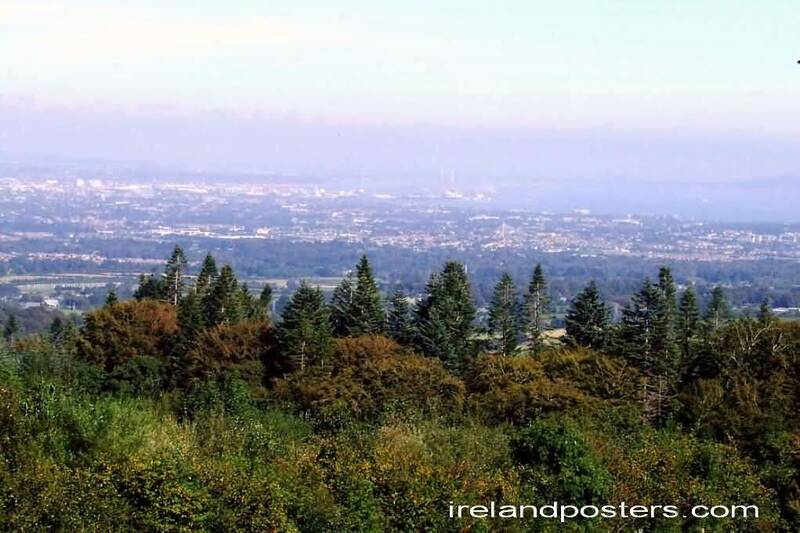 Ireland pictures & posters - main contents.